This uniquely customized 17-day itinerary is full of culture, history, and tons of fun activities the whole family can enjoy, including mountain biking, rafting, paragliding, rappelling, and caving. This journey through Colombia takes you to vibrant colonial cities, beautiful national parks, serene beaches, and so much more! Arrival in Bogota! Upon arrival, you will be met by your private guide and driver and transferred to your hotel. Vibrant and diverse Bogotá, the country’s capital and commercial back-bone. Colombia’s bustling metropolis is a mix of old and new, trendy and traditional, stately and charming. Home to a dazzling array of museums, churches, colonial mansions and stately buildings Bogotá has a fine balance between its historical past and its movement in to the future. This city in central Colombia is located at an elevation of 2,650 m./8,660 ft. on a mountain rimmed plateau high in the Cordillera Oriental of the Andes Mountains. The city lies only 4°36′ north of the equator. Enjoy your half-day Art Biking Tour with bilingual guide and private vehicle (4 hours). 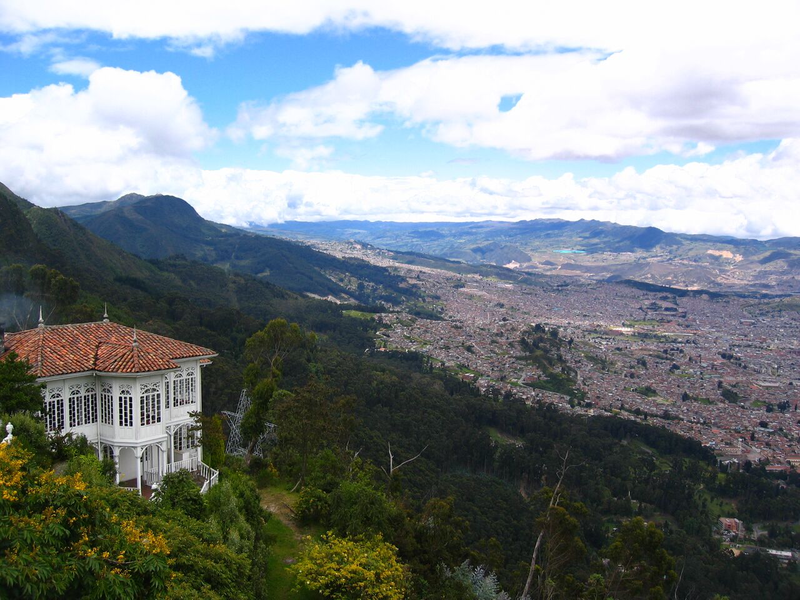 Bogota has been called “The Athens of South America” thanks to the wealth of museums and galleries in the city. You will discover both the classics and graffiti street art scenes. Colombia is throwing off its negative reputation with a cultural and artistic renaissance to match any of its South American neighbours. 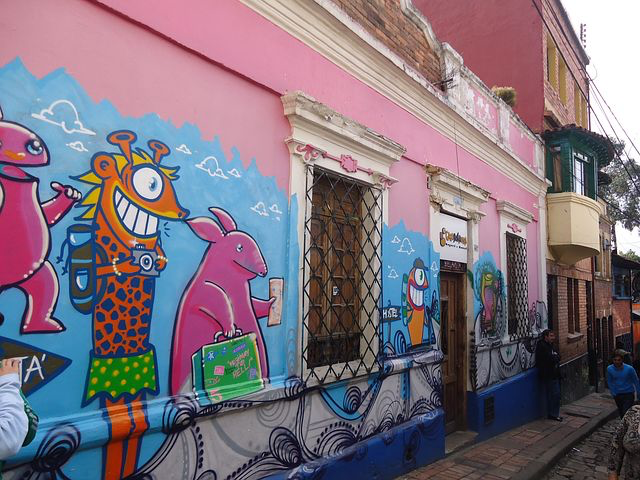 Nowhere is this more evident than in the street art which adorns Bogotá’s walls, and which reveals the untrammelled creativity of the capital’s graffiti artists. One of the most vivid experiences you will have here is by engaging with the street art. Incredibly relaxed laws involving the declassification of graffiti from ‘crime’ to ‘violation’ have led to the country’s capital Bogota becoming a hotbed of global talent with home-grown and world renowned artists congregating here to practise their art. The ability to expand and experiment with their styles with little fear of legal reproach has proved attractive, and as a result the city pulsates with international and native talent. Enjoy your afternoon at leisure. Perhaps head to the Gold Museum, Botero Gallery, or Monserrate. After breakfast you will be picked up by your private guide and driver and will head to Suesca – about 60km north of Bogota, and home to some of the best rock climbing in Colombia. The region features geography of sandstone rock cliffs – ideal for climbing, and provides classic and sport routes which span beginner to 5.13c! 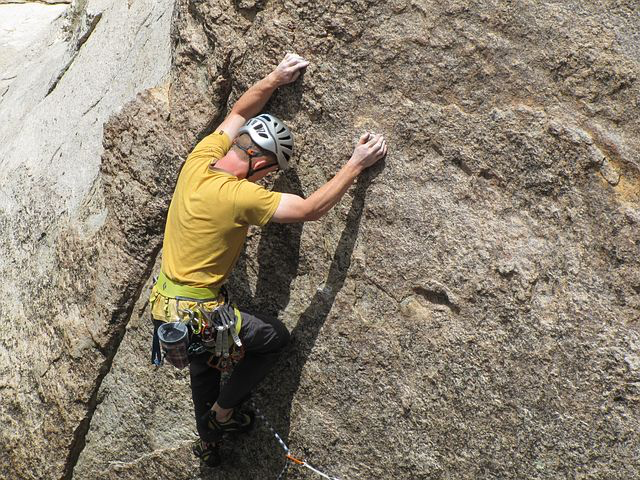 Today you will enjoy a full-day rock climbing and abseiling excursion. Upon arrival, you will first hike for 20 minutes along a quiet road though the countryside, accompanied by your local guide, before arriving at the dramatic rock face. With expert instructors you will plot routes according to your experience, skill-level, and thirst for challenge; you will ascend, enjoy the views, and abseil back down to plan and undertake the next route! The area is beautiful, and this is a fun and exciting way to explore it! Enjoy breakfast at the hotel. Around mid-morning you will be transferred to the airport for your flight to Medellin. Upon arrival in Medellin, you will be met at the airport and transferred to your hotel. Enjoy the rest of the day at leisure. Medellin is the second largest city in Colombia and regarded as one of the most important, in business, politics, and fashion and of course nightlife! For years Medellin had a tarnished reputation, but has now risen above this and is now one of most exciting cities in South America. 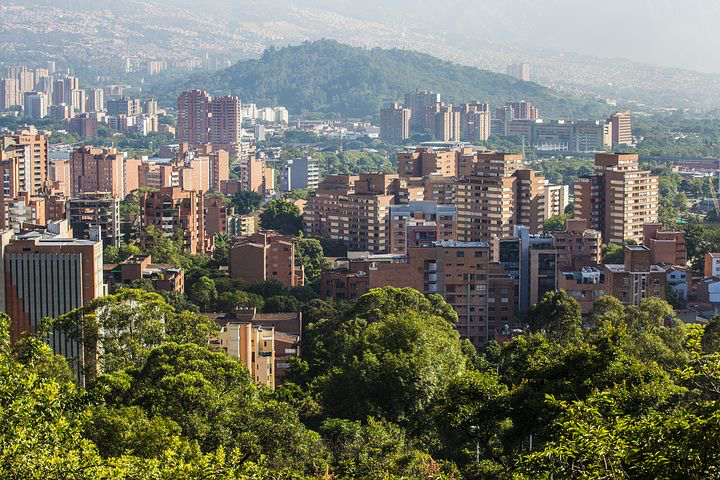 Its growth has been impressive over the past ten years, and the advance in the security situation has been such that Medellin is now regarded as one of the safest cities in South America. Medellin is famous for its “Feria de las Flores” which happens every August for a week. The Feria is a carnival atmosphere with processions of flower growers, music, dance and the arts. Medellin is vibrant, contemporary and well worth a visit for its vast selection fine restaurants, bars and if nothing else its people. The Paisa, a person from this region, is well known for his or her sense of pride and also the way they look. To sit at a coffee shop or bar and watch the people of Medellin walk by can easily take up a morning! Medellin is rapidly becoming a must on any Colombian itinerary. After breakfast, you will be picked up by your private guide and driver for a full-day exploration of Medellin! In the morning, you will check out the Moravia area of the city by bike. This tour offers you the opportunity to experience the city from a different perspective. 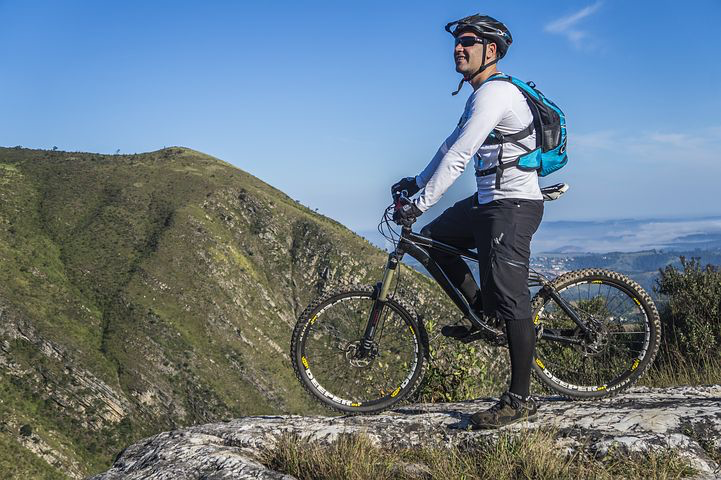 Whether you are an experienced cyclist or just enjoy going for a leisurely ride once in a while, the tour is suitable for all levels of fitness. In the afternoon, you will continue your exploration of Medellin by car, foot, and cable car – Santo Domingo, the botanical garden, and Botero Square will be the focus of your touring this afternoon. 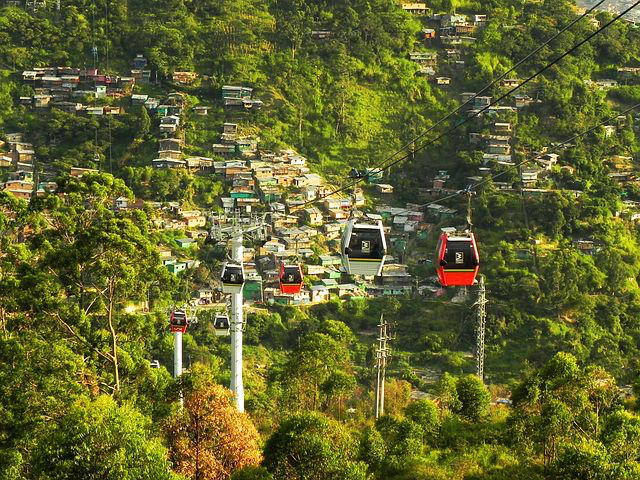 A ride on the city’s famous metro and cable car system will not only provide great views of the city but will be a chance to understand a bit more about the geography and social make up of Colombia’s second city. After breakfast, your guide and driver will collect you from your hotel for an excursion to El Peñol & Guatapé. The journey will take approximately 2 hours. 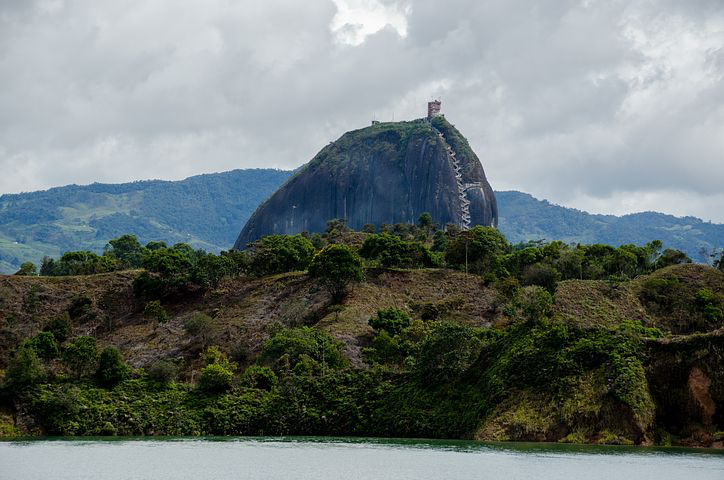 This great day trip from Medellin takes you out in to the countryside of Antioquia to the giant monolith rock of El Peñol (Literally, “The stone”). The top of the rock is reached by a series of 649 wooden steps that wind up to the top of the rock. Upon reaching the top you are greeted with a 360 degree bird’s eye view of the surrounding country side. The nearby town of Guatape is a lakeside “get a away” for the residents of Medellin and is an ideal location to explore the rural charm of Antioquia and take a leisurely walk along the waterfront or through the main town square or “parque” with its brightly painted houses and store fronts. Guatape has a number of pretty waterfront restaurants in which to enjoy delicious lunch cooked using locally sourced ingredients. Early start today! You will be picked up and transferred to the airport for your flight back to Bogota. When your flight lands you will be met by your guide and driver who will transfer you onward to Villa de Leyva. En route, you will stop and explore Raquira. This is the Potter Capital of Colombia, and the town is a montage of brightly painted facades, a jumble of craft shops, and stacks of freshly fired mud and clay pots. It’s a vibrant little place! 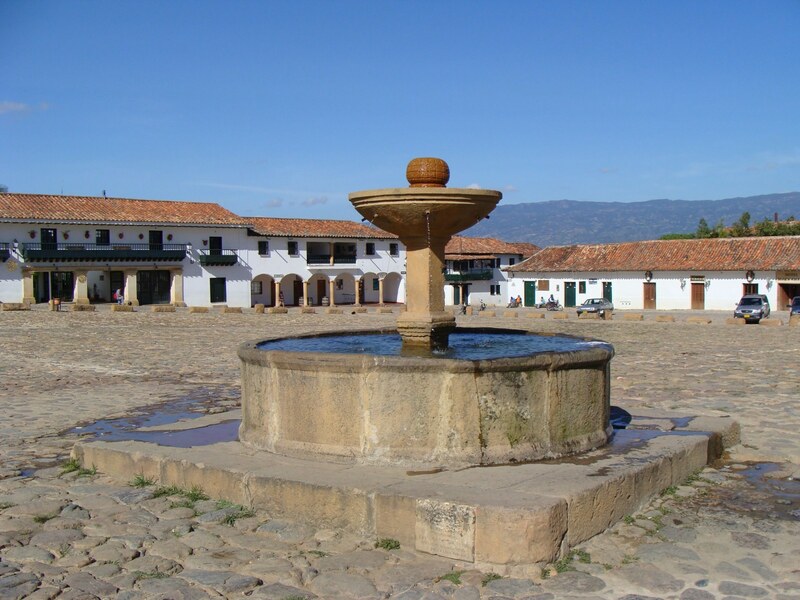 Continue onward to Villa de Leyva, check into your hotel, and explore the old town at leisure. Villa de Leyva is located some 150 kilometres north of Bogota, about four hours by car, passing through stunning savannah landscapes on the way. With its myriad of winding cobbled streets, lined on either side by orange roofed white washed houses, and surrounded by mountains, the village is a charming place to while away a few days. With scarcely a modern building in site and boasting one of the largest cobbled-stoned squares in South America this village where time stands still is a great place to see a snap shot of historical Colombia preserved in its entirety. Following breakfast, your adventure today begins with a 3-hour mountain biking expedition in the area surrounding Villa de Leyva. This will provide you with a great mix of sight-seeing and activity! Continue your adventure this afternoon with a 4-hour rappelling expedition down a spectacular waterfall! After a short walk, you arrive at the top of the waterfall where you will start the repelling. You’ll be set up with full gear and guided down a waterfall repelling circuit – be ready to get soaked as you work your way down the spectacular cascade of white water! Early start today – 7am pickup by your guide and driver for the transfer to Barichara in the San Gil region. The drive will take about 4 hours and will wind you through spectacular, mountainous scenery! You’ll head onward to San Gil and arrive before noon. San Gil is the outdoor capital of Colombia, and is a mecca for extreme-sporting enthusiasts! The area is best known for white water rafting, but other popular activities include paragliding, caving, rappelling, and trekking. 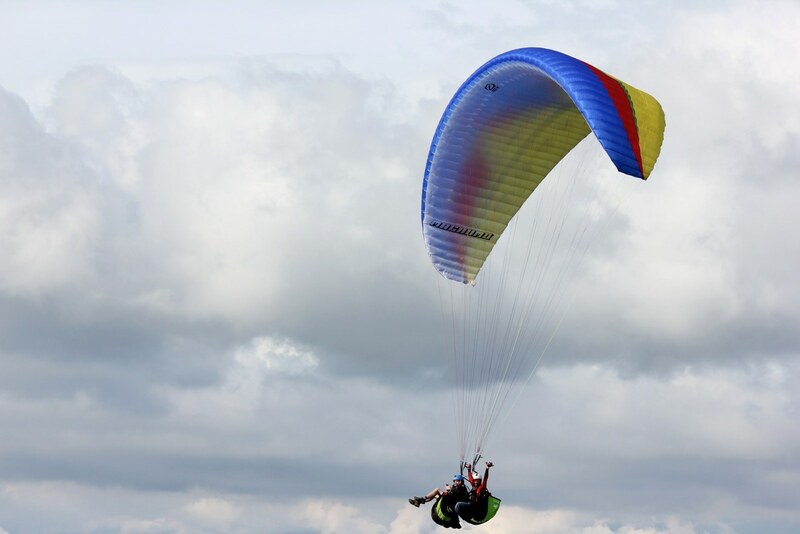 We have arranged several awesome adventure / adrenaline activities during your stay in San Gil, starting this afternoon with a Paragliding expedition! This is a 3-hour activity, which culminates with a spectacular 20-minute paraglide flight in a place called Curiti, where frontal winds crash against the side of a mountain to create thermals that take you higher and higher over the tobacco fields, with distant views of the mountains. You will spend your morning rafting on the Suarez River. 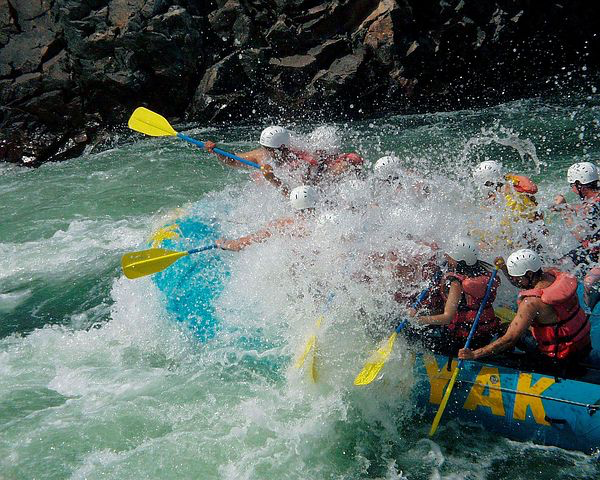 The nature of the rapids and the volume of water make this one of the strongest rivers in Colombia (and all of South America) for rafting and kayaking. It features class V rapids for extreme thrill-seekers. In the afternoon, you will enjoy an Indio Caving expedition! Located near the town of Paramo 20 minutes from San Gil, we start with a descent of 70 meters on a zipline to then enter and begin the tour through the different caverns and feel the excitement of the water that passes through the bottom of the cave before culminating in a spectacular 5 meter jump into a pool from which we swim out of the cave. Enjoy breakfast and the earlier part of your morning at leisure. Transfer to the airport and depart on a flight via Bogota to Santa Marta. Upon arrival in Santa Marta, you will be met by your driver and guide and transferred onward to Tayrona National Park and your fantastic accommodations at Ecohabs Canavera! Tayrona National Park is paradise perfected. The park sits at the edge of the Sierra Nevada de Santa Marta mountain range, the highest costal mountain range in the world and stretches over 35 miles from near to Santa Marta in the West to Rio Piedras in the East. The National Park is everything you could want from a picture post card beach location. Palm fringed beaches and golden sand that stretch out in front of you. This tropical beach paradise has a back drop of lush green rain forest. There are numerous paths that link the various beaches and bays, which make perfect walking trails to while away the days in paradise. This is an amazing place to sit back and relax, amble the beach and jungle trails and spot the local wildlife. At leisure in Tayrona National Park! There is no better place to relax and listen to the calming rhythms of the waves than Tayrona. As you sit on the white sands of Cañaveral imagine what is behind you. A biosphere of tropical and deciduous forests, a population of nearly 26,500 indigenous people form tribes including Koji, Arhuaco and Wiwa, and the world’s highest coastal mountain range! In front of you the Caribbean ocean with its well preserved coral reef, bays, inlets and to the side a extensive coast of fine beaches and scenery. Time can be spent relaxing on the beach or in a hammock, or wandering the beach and jungle trails, a true picture perfect beach paradise. It is also possible to hike into an indigenous local village – let us know if this is of interest and we can help you with that part of the plan! Enjoy another day at leisure in Tayrona National Park! 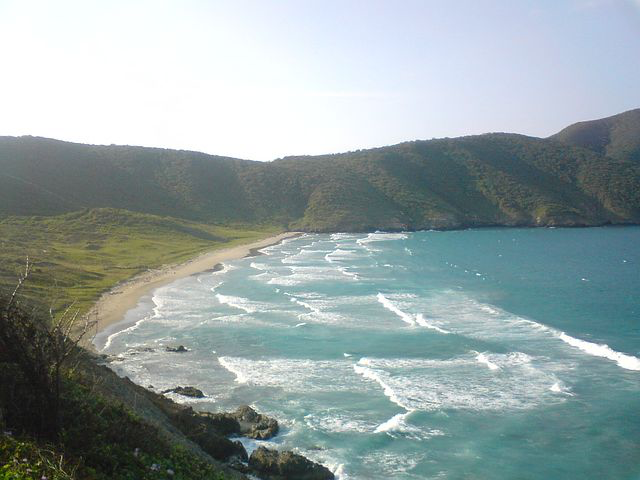 Late in the day, you will be met and transferred by private car and driver from Tayrona to Cartagena. Cartagena’s rich history, diverse culture and energy absorbs every visitor allowing them a glimpse into the past and a chance to relax in superb surroundings. This passionate and vibrant city with some of the best preserved colonial architecture in all of South America exudes character, mix in African rhythms and indigenous influences with the Spanish colonial splendor and Cartagena is truly an amazing destination. You will start your day with an awesome culinary experience! This tour is a unique and fascinating insight into the culinary world of Colombia’s Caribbean coast and is designed for adventurous souls who are captivated by indigenous cooking using locally sourced ingredients. Mercado Bazurto is Cartagena’s labyrinthine central market, an enthralling yet dizzying experience, which will guarantee a full frontal assault on the senses. You will be guided and shepherded through this captivating world by an expert local guide. You will be accompanied by a local chef who will select ingredients with you for the typical local lunch to be cooked in a private colonial house in the walled city. 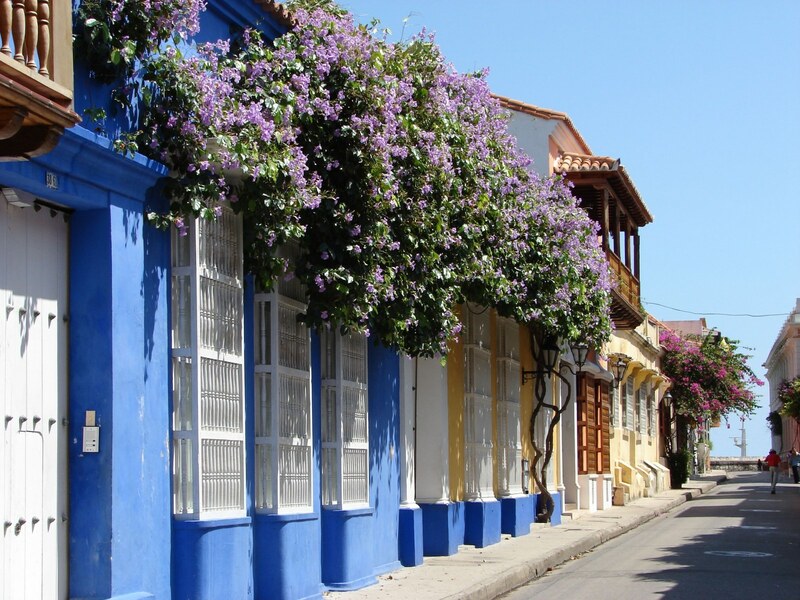 After lunch, you will be met by your guide and will depart for a 4-hour walking tour of Cartagena. Your tour will take through the old town under the Puerta Del Reloj (Clock tower entrance), a symbol of Cartagena, into the Plaza de los Coches. Your guide will divulge the myths and legends, histories and stories of Cartagena from ancient times right up to the present. From the Plaza San Pedro Claver with its stunning Church, on through to the Plaza Bolivar; with its shady areas, where a fresh Lemon juice can be enjoyed whilst watching the world go by. You will also explore the Palace de La Inquisicion as part of your tour. 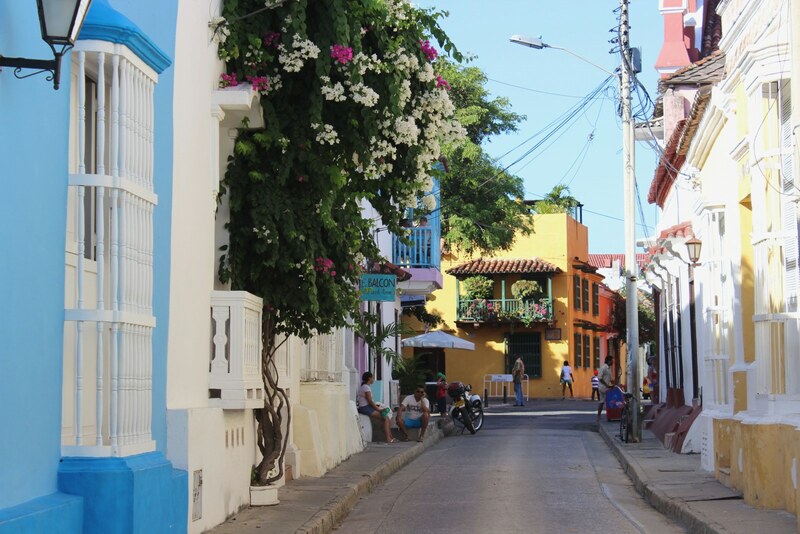 Cartagena is steeped in history and a delight to stroll the streets with your own personal encyclopaedia of knowledge guiding you from one interest to the other. 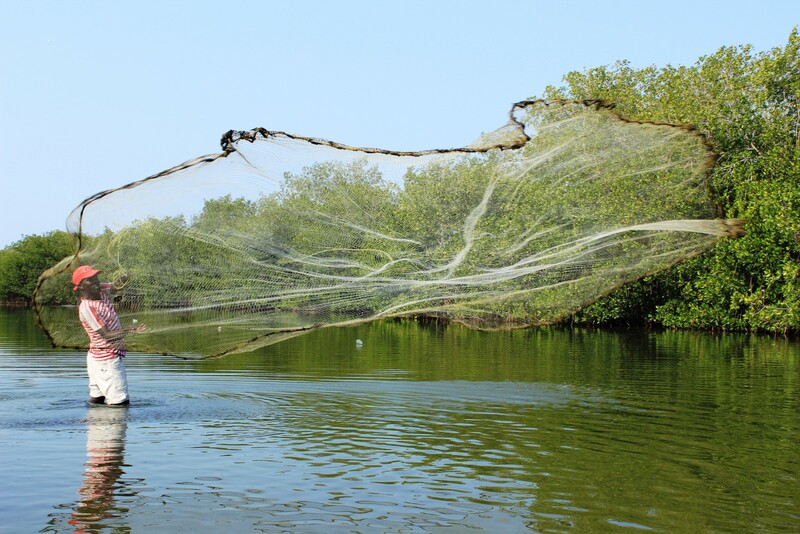 This morning, depart to visit a local fishing community and explore the Mangroves by canoe. 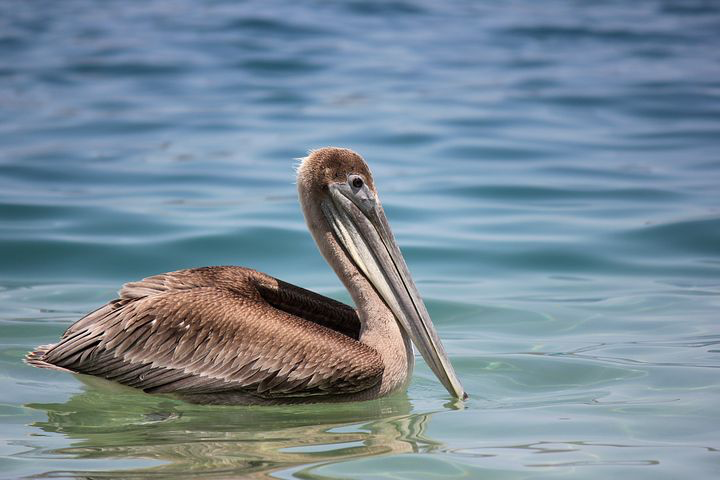 The fishing village of La Boquilla is located 30 minutes east of Cartagena in an area of mangrove swamps. Many of the villagers are of African descent and on arrival there will be a performance of dance and a refreshment of fresh green coconut milk will be served. The tour through the mangroves is taken by canoe paddled by local fisherman, an ideal way for the clients to navigate the shallow waters through the “tunnels” naturally created by the Mangrove trees. As well as birdlife there is a wealth of flora and fauna to see in this rich ecosystem as you glide through the Mangroves. Return to Cartagena and enjoy the afternoon at leisure. Today, you will hop aboard a private boat with skipper and guide for an exploration of the waters and islands off the coast of Cartagena! This exclusive experience is tailored to your needs and interests. Whether you want to sip champagne in the crystal clear waters of Cholón (for the adults, at least! ), mix it with the locals in Playa Blanca or get away from it all and snorkel in the coral reefs on your own private island, we can make it happen – you will consult with the crew, and based on your interests and ocean conditions a plan will be plotted for a fantastic day at sea! Following breakfast, you will be transferred to the airport in Cartagena to connect with your flight back home. Sofitel Victoria Regina is a stylish hotel where French art meets Colombian culture to make this a luxurious stay in the hotel. This elegant hotel is the ideal combination of classic and contemporary. Sofitel Victoria Regina is just minutes away from Parque 93, which is one of the most popular shops, restaurants and nightlife areas. Park 10 Boutique Hotel is a luxury hotel in the upscale neighborhood of Lalinde. Due to the ideal location, guests are able to enjoy sunny days, fresh air and the views of the high mountains surrounding the city. La Posada de San Antonio is a hotel made up of 3 adjoining Colonial houses located just minutes away from Villa de Leyva Plaza Major, Antonio Narino House Museum, and Casa Museo Luis Alberto Acuna. Thanks to the work of architects, they allowed the preservation of the original building so customers have the experience of a colonial environment and one which offers the most extensive facilities and hotel services today. La Nube Posada is a colonial house turned into a boutique hotel with sleek, minimal decor with exposed wood beams and an courtyard with art exhibitions. The on-site Colombian restaurant is said to be one of the best restaurants in town! San Gil is just 13km away so you can spend the day enjoying a variety of activities and come back to the hotel and relax by the pool. 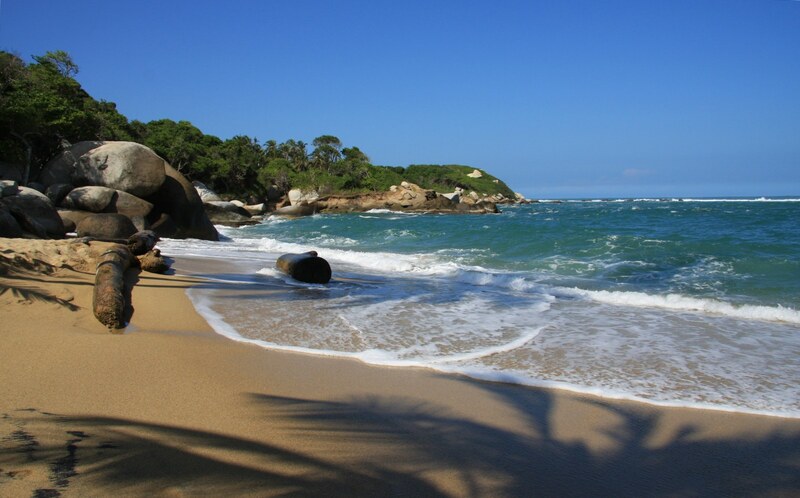 Ecohabs Tayrona is located just along the Cañaveral beach in the Tayrona National Park. Ecohabs Tayrona is the perfect place to relax and enjoy nature from the bungalows. Since the hotel is located in the Tayrona National Park, guests have easy access to explore the park. Tayrona park has a variety of activities for guests such as bird watching, trekking to the ancient ruins, or just taking walks on the beach. Casa San Agustin is a lovely luxurious small hotel in Cartagena that shows off the Caribbean style and colours like the rest of Cartagena. Casa San Agustin’s art and architecture show the city’s history as the 17th century Spanish stronghold. The hotel’s beautifully decorated rooms showcase Colombia’s style with a touch of modern services and amenities.